When someone puts a camera in your face, are you speechless? Deidre can media train you. 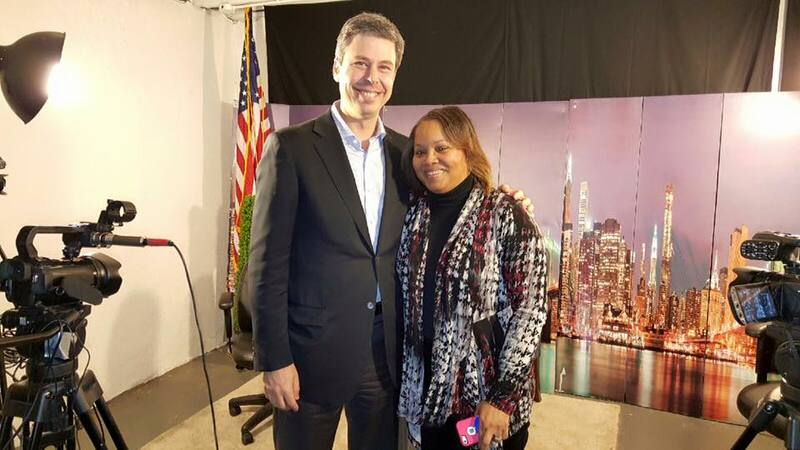 Her more than 30 years working in the media and with the media equips her with tools needed to train you. She has spent a great deal of her professional life preparing others to undergo the scrutiny of the media. Her experience as an elected official and campaign manager makes her uniquely qualified to consult on your political campaign. Deidre is a certified political trainer by the National Women’s Political Caucus. 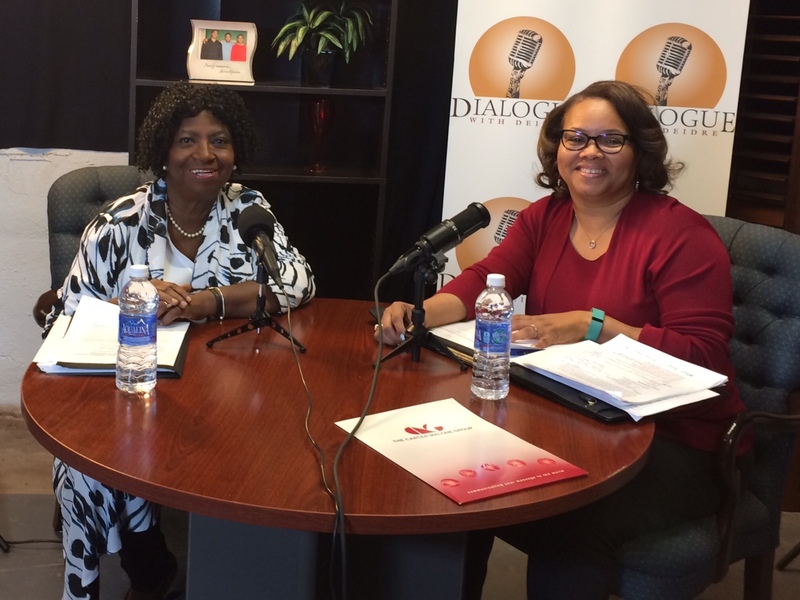 If you are interested in learning more about advertising or being a guest on Deidre’s program – Dialogue with Deidre, you can learn more about it here too. Deidre Dionne Carter Malone is married to Patrick Malone and they two have sons – Patrick II “Kirk” and Brian. They have two grandchildren, a grandson Patrick III “Trey” and granddaughter Bailee Christian. They live in Memphis, Tennessee. Pat and Deidre are both are originally from Chicago, IL. She spent most of her summers in Memphis with her grandparents Elizabeth and John Foster in Orange Mound, Tennessee (Memphis). Deidre spent a great deal of her life in Utica, MS with her paternal grandmother Claudia Carter. Deidre opened The Carter Malone Group, LLC, and (CMG) a public relations, marketing, advertising and government relations firm in May 2003. The firm is one of the largest most well respected public relations firms in the southeastern region. She started CMG in May 2003 with one client, the National Baptist Congress, and has since added dozens of local, regional and national clients to the list. The award-winning agency is now one of the largest female-owned firms in West Tennessee with more than 20 active clients. 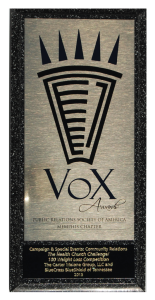 CMG has won numerous industry awards for work in public relations and media relations, including VOX Awards from the Public Relations Society of America, a national Gabriel Award from Unda-USA, and a Telly Award for regional broadcasting. Malone, herself, was nominated for an Emmy Award. In 2012, CMG became a founding member of the Tennessee Public Relations Alliance with Moxley Carmichael Public Relations in Knoxville, McNeely Pigott and Fox Public Relations in Nashville, Hispanic Marketing Group in Nashville and Q Strategies in Chattanooga. Visit www.cmgpr.com to learn more about the business. Before opening her firm, she served as Vice President of Marketing Services for the 3rd largest healthcare charity in the United States, ALSAC- St. Jude Children’s Research Hospital. Deidre also served as the Director of Public Relations for St. Jude Children’s Research Hospital. As a former journalist, Deidre worked for WMC-TV Channel 5 as a news producer, WMC-AM News Talk Radio Station and WLOK-AM Radio Station as a News Reporter and Anchor. Deidre is a graduate of Hinds County Agricultural High School in Utica, MS and Jackson State University in Jackson, MS. She also attended graduate school at Christian Brothers University in Memphis, TN. Deidre Malone currently serves on the national board for the National Women’s Political Caucus, Tennessee Women’s Political Caucus and Leadership Memphis. She served on the board of directors for EDGE (Economic Development Growth Engine) of Memphis and Shelby County, and the Memphis and Shelby County Port Authority, Baptist College of Health Sciences, the Rock and Soul Museum, and both Mayor A C Wharton’s Advisory Council and Education Task Force. She has served on the following boards: Memphis Housing Authority, Shelby County 911, Tennessee Workforce Investment, Circles of Success Charter School, LifeBlood and Regional Medical Center. Deidre has always been interested in public service. She was elected in 2002 by 67% of the vote to represent District 2 in Shelby County on the Shelby County Commission. She served in Position 3. She was unopposed for a second term and was re-elected in 2006. In her new role as Commissioner Malone, the freshman legislator began implementing those ideas and issues that are dear to her heart, such as education, housing, economic development and healthcare. In 2006, Malone made history by becoming the first female to serve in the capacity as Chairman of the Budget Committee for the Shelby County Commission. In 2008, she made history again by becoming the first African-American woman to serve as chairman of the Shelby County Commission. Under her leadership, she brought together all levels of government to begin the discussion on single-source funding for Memphis and Shelby County Schools. Deidre was known as a legislative leader that worked with others to move a progressive agenda forward. In 2010 and 2014, Malone sought the office of Shelby County Mayor in the Democratic Primary. 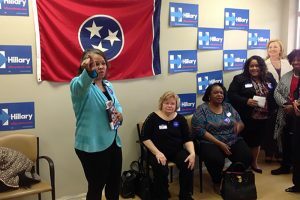 In 2014, Malone won the Democratic Primary, becoming the first woman to have the distinction of capturing a major party nomination for Shelby County Mayor. She lost the general election to Republican Mark Luttrell. 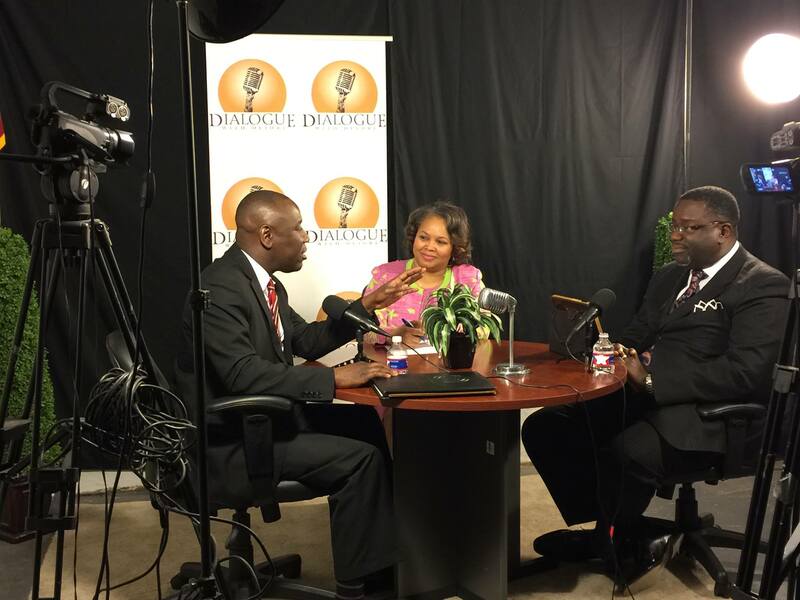 Deidre has been involved in politics and political campaigns for more than 20 years. In March 2016, Deidre became certified as a political campaign trainer by the National Women’s Political Caucus. She can train candidates and groups of potential trainers with this certification. Deidre serves on the board of directors of the National Women’s Political Caucus as the Vice President of Communications. National Women’s Political Caucus recognizes that the campaign business has become a sophisticated and competitive endeavor and while it is much more costly than just two decades ago, it is constantly changing to reflect what’s working most efficiently to elect women. NWPC now offers a certificated program to train trainers – complete with new standards of interactive teaching that will convert most of our trainings from “talking heads” to “hands-on” campaign exercises that training attendees can use for their own campaigns. If you are interested in training or hosting a workshop, contact Deidre at 901.278.0881 or the National Women’s Political Caucus at 202.785.1100. 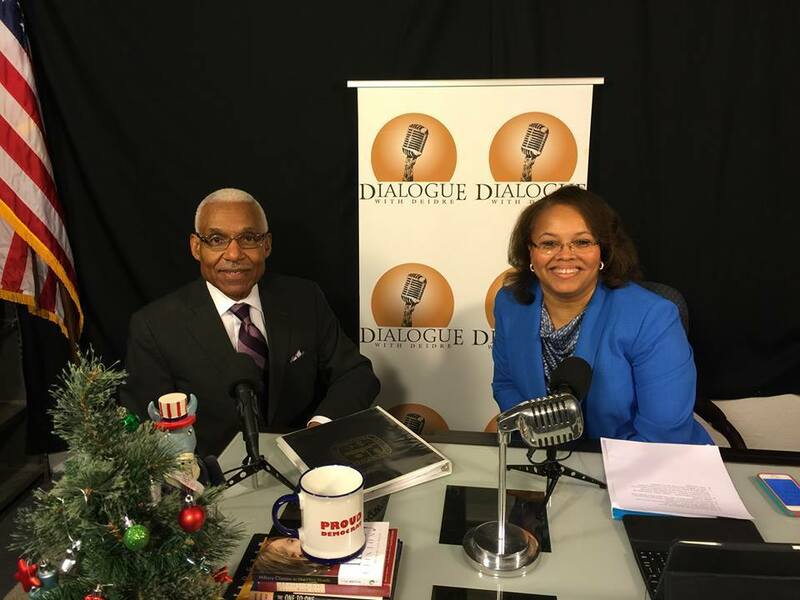 Local, regional, state and national issues that people are talking about today will be what you will learn more about on Dialogue with Deidre. She goes straight to the source drawing from her days as a journalist and former TV news producer. 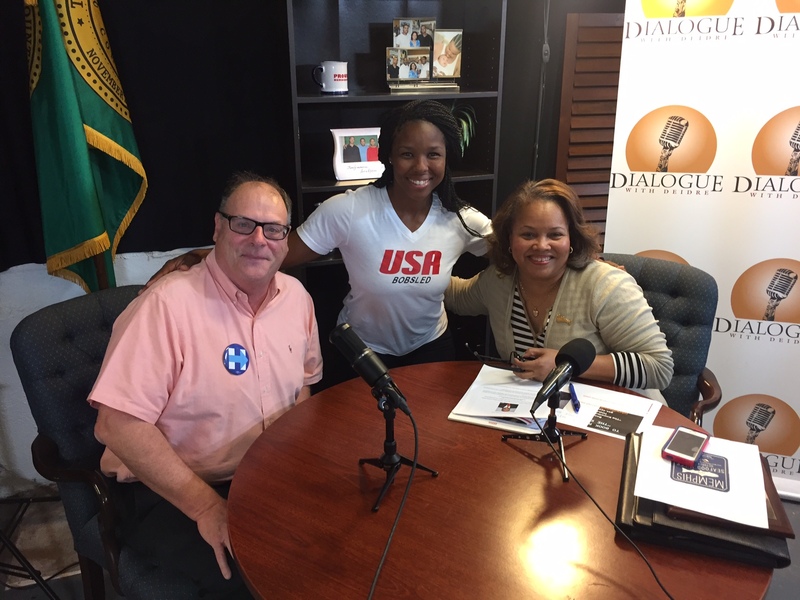 She talks about business, education, health care, government and community issues with guests including mayors, city council members, county commissioners and various celebrities. 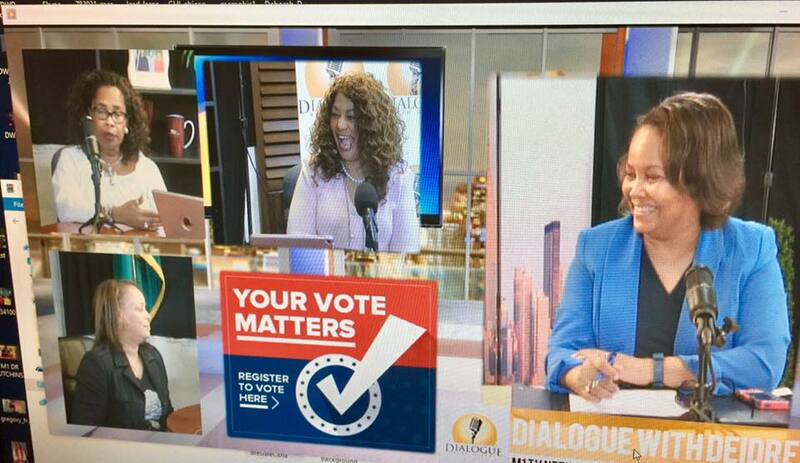 You will always be informed when you watch Dialogue with Deidre.